When you purchase a Spaceman machine you are buying more then just a soft serve or frozen beverage machine, we offer an experience. It is our goal to uphold our philosophy at all times: to provide our users with high quality soft serve and frozen beverage equipment and second to none customer experience for a reasonable price. It is our commitment to you that you are satisfied with your Spaceman machine and receive the best possible customer service experience each time you contact our parts and service department. 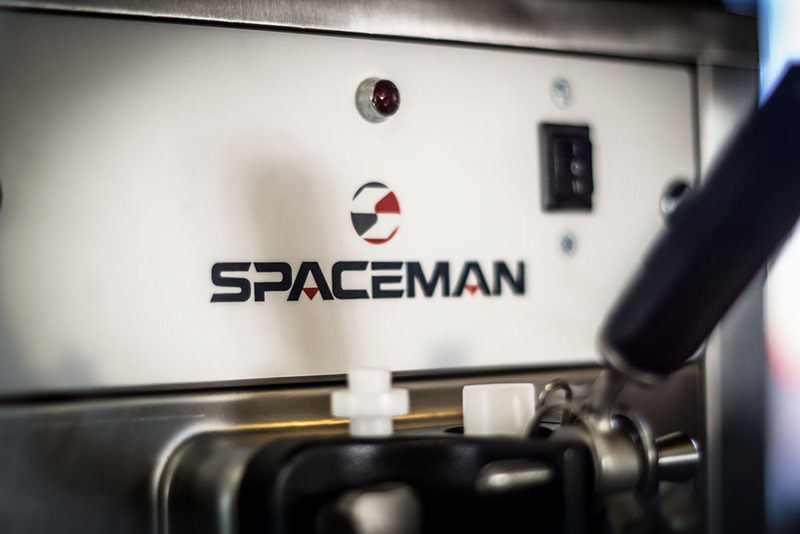 Each Spaceman soft serve and frozen beverage machine comes standard with a one year parts and service warranty including labor. We include free remote training for the lifetime of your machine. In addition, we offer an extended five-year warranty that covers compressors, hoppers, evaporators, and shell. at no charge. We are only soft serve manufacturer that will overnight warranty parts that are not available locally! With over 2,500 contracted service technicians throughout the USA, Canada, and the Caribbean we are confident that we provide the most complete service network to our users available. It is our goal to get your machine up and running as quickly as possible, regardless of the cost – that is our promise.